A popular MP has come out to shoot down flying rumors that he was having an affair with slain Moi University student Ivy Wangechi. 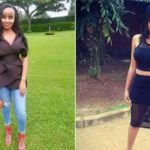 Taking to social media, Kapseret Member of Parliament Oscar Sudi denied ever knowing the young lady who was killed by Naftali Njahi and bashed those spreading fake news that they were sleeping together. “Given that today is a Palm Sunday, I choose to forgive whoever did this. It is immoral, immature and inhuman to share such malicious claims on social media even as the family is grieved by the gruesome murder of Ivy.,” he said on Facebook. Adding: “Furthermore, it is cruel, callous and barbaric to wish someone some sickness because no sane human can do so to his/her fellow being. I personally never knew Ivy, but I wish to express my heartfelt condolences to the family and friends of Ivy,” the MP said. Motive Naftali on Wednesday, April 10, told the police his actions were motivated by the fact that he had spent a lot of resources on the deceased but in turn she kept turning him down. The post MP denies he was Ivy Wangechi’s sponsor: I personally never knew Ivy and it is immoral, immature and inhuman to share such malicious claims appeared first on Ghafla! Kenya.